Styled with patti short and continental 80 shoes . Simple and effortless. 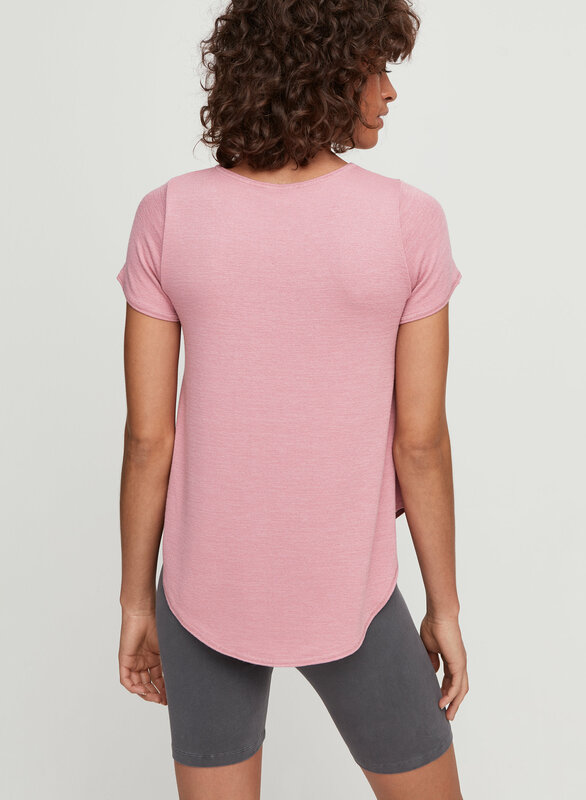 This tee is made with Wilfred Free’s signature fabric, Reposa™ — a luxe jersey knit that hangs beautifully. I found a lot of Wilfred shirts it's best that I size down-- however, for this Esther T-Shirt, it is very tight around the arms. The mid/bottom is very flowy and I think it could be flattering if you have a smaller chest. Love the material, nice and flowy but not too much, fits perfectly. Love this fabric, hangs beautifully, and can dress it up or wear casually. Will be buying more colours!! I love the way that this tee drapes! I bought it in black, but I will be looking to repurchase in more colours when the weather warms up. 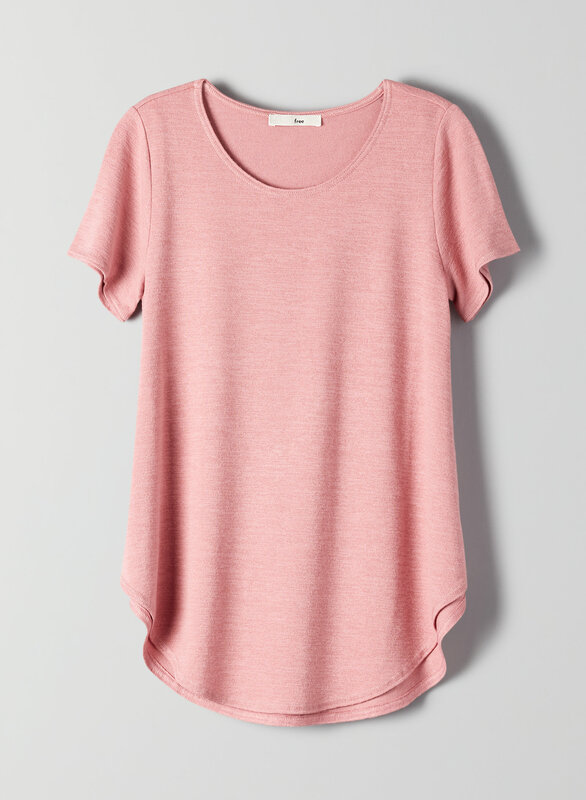 I would definitely grant “wardrobe staple” status to this tee, after I see how it holds up in a few more washes. This is my 3rd Esther t-shirt, bought the maroon color this time. They are so effortless and are perfect for those days when you don't want to think about what to wear. Layer perfectly with jean jackets and cardigans. The material is super soft as well. The Esther and Ruth t-shirts are my favorite! Very flattering, drapes nicely. Good quality, I own many and wear them often. Highly recommend! Perfect tee. 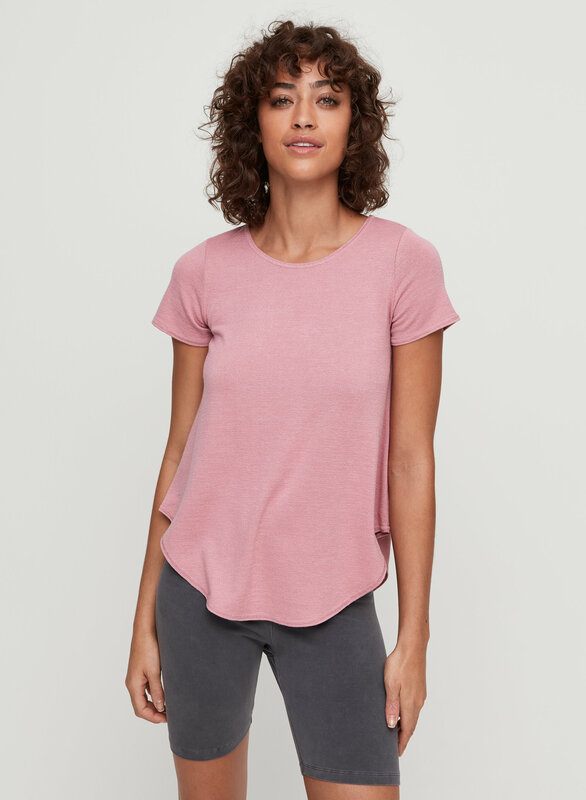 So versatile... you can dress it up with a skirt and the material looks fancier than a regular cotton tee, but also looks great with jeans! The shape of it is so cute and flattering, especially with high waisted jeans. I got white first then went back for a black one because I loved it so much!